Welcome to St. Andrew Ukrainian Orthodox Church in Bloomingdale, Illinois, USA. We represent a branch of the Eastern Orthodox faith which is a continuation of the First Century Church. St. Andrew Ukrainian Orthodox Church belongs to The Vicariate of The Kyivan Patriarchate in the USA and Canada which is under the authority of His Holiness Patriarch of Kyiv and All Rus-Ukraine Filaret, Presiding Hierarch of the Vicariate of The Kyivan Patriarchate in the USA and Canada. Our parish was chartered by the State of Illinois in 1970 and will celebrate its 40th anniversary this year. There were about 6 Ukrainian families in the suburbs of Chicago that wanted to form a parish even though they did not yet have a church building or priest. Their own church would not become a reality until 1976, when the first service was held on the Sunday of Annunciation. A make shift church in what was once a horse stable served the parish until the congregation of some 100 families could raise the two million dollars it would take to construct their dream. In 1987 the current church was completed and blessed in honor of the Millenium of Ukrainian Orthodoxy (988-1988) by Metropolitan Mstyslav Skrypnyk later the first Patriarch of Ukraine. Today, St. Andrew’s has about 150 families as members. The church is largely made up of Ukrainian World War II immigrants, second generation Ukrainians and now a new immigration of culturally aware and patriotic Ukrainians. As the mother church to all the Slavic nations, The Ukrainian Orthodox Church stands as a testament that no political force or policy of atheism could break the soul of the God-fearing and devout Ukrainian people. After years of Soviet persecution, Ukrainians have a free and democratic country and a free and independent Ukrainian Orthodox Church under His Holiness Patriarch of Kyiv and All Rus-Ukraine Filaret. The Ukrainian Orthodox Church Kyivan Patriarchate has over 15 million believers world-wide and is the third largest Orthodox Church in the world. St. Andrew Ukrainian Orthodox Church provides a great number of programs and ministries through it's many organizations. The backbone of the parish is The Saint Sophia Sisterhood, which has devoted countless hours in raising funds for the parish. Through weekly sales of Varenyky (pierogis) they have become a staple in the community and it is not uncommon to have a line out the door on any given Saturday morning. St. Andrew has also become known for its beautiful Ukrainian Choir. Ukrainian liturgical music as well as traditional Ukrainian music is performed in its purest form with unmatched interpretation. The parish choir was built upon the direction of Dr. Vasil Truchly and has performed for public audiences throughout the USA and has recently released several recordings. The parish has a very active youth ministry, including the Saturday Ukrainian School, with various religious and cultural educational programs that cater to the community's ever growing youth population. Religious education is provided by our pastor Very Rev. Victor Poliarny every Saturday morning at 9 am. 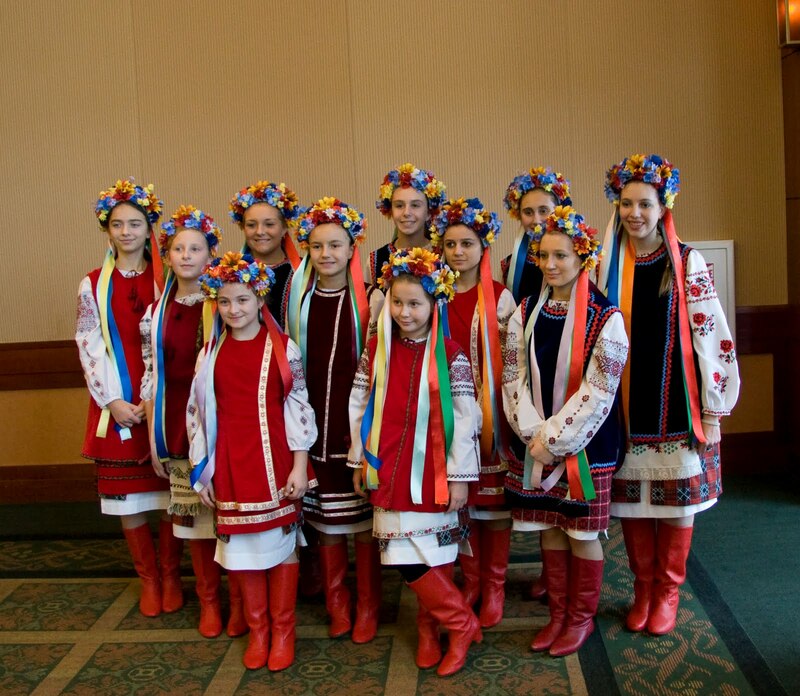 In addition the youth of the parish have a Ukrainian Folk Dance Ensemble “Vodohray” which meets twice a week for rehearsals and has performed throughout Chicagoland. There are classes for preparing the youth for first confession and communion on Sunday mornings. The youth are also involved in various fundraisers such as lunches, car-washes and bake sales. The parish also sponsors a retirement community, St. Andrew Co-op is made up of 23 studio, 1-bedroom and 2-bedroom units on land adjacent to the church. Many of the owners devote their time and physical efforts to the church throughout the week. A small gift shop area offers a variety of Ukrainian religious articles such as icons and other Ukrainian gifts for purchase. 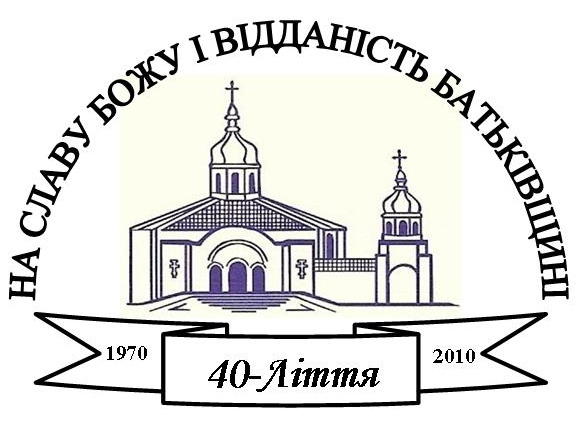 A bi-weekly newsletter, the UOC-KP Bulletin, keeps the parish informed of all the various activities, service schedules and other events that occur within the Ukrainian Orthodox community. In addition, St. Andrew parish sponsors an annual Ukrainian Festival and many other Ukrainian cultural concerts. The beautiful Church complex with it's elegant auditorium was constructed just 20 miles west of downtown Chicago in 1987. If you have any questions, want to learn more about our parish or to schedule a tour, please email us at: info@standrewuoc.com or call the Pastor Very Rev. Victor Poliarny at (630) 217-5524. 1. Building Fund - In June 2010 we are to begin construction of St. Andrew Ukrainian Cultural Center, which includes a renovated banquet facility, remodeled and expanded commercial kitchen, loading dock for caterers, expanded office space and classrooms for our youth. 2. General Church Fund - For regular upkeep and maintenance of our beautiful church and grounds. 3. Vicariate of The Ukrainian Orthodox Church - Kyivan Patriarchate in The USA and Canada - To support the growth and administrative costs of our Ukrainian Patriarchate. 4. Ukrainian School and "Vodohray" Dance Ensemble - To help offset costs of instructors, learning materials, costumes etc. 5. Ukrainian Charities - To help in our charity work in Baturyn, Ukraine, The Buy-a-bed program for orphans in Ukraine, support of other Ukrainian Orthodox charities. We are happy to announce a change in the schedule of services at St. Andrew Ukrainian Orthodox Cathedral. In addition to our regular Divine Liturgy at 10:00 a.m. , beginning on August 7, 2011 there will be an additional Divine Liturgy at 11:45 a.m. served in the english language. The Divine Liturgy in the english language will be celebrated on THE FIRST SUNDAY OF EACH MONTH. We are also happy to welcome Rev. Stefan McInnes and Rev. Deacon James Lewandowski who will be celebrating the Divine Liturgy in our church each month and thank them for their efforts in the support and growth of our Holy Ukrainian Orthodox Church - Kyiv Patriarchate. Sunday August 7, 2011 11:45 a.m.
Sunday September 4, 2011 11:45 a.m.
Sunday October 2, 2011 11:45 a.m.
Sunday November 6, 2011 11:45 a.m.
Sunday December 4, 2011 11:45 a.m.
Sunday January 1, 2012 11:45 a.m.
We are happy top announce that as of Saturday June 11, 2011 St. Andrew Ukrainian Kitchen is open again. After a lengthy remodel and a full upgrade our Sisterhood is making the best pierogies and cabbage rolls around! You will also be able to purchase fresh St. Andrew honey, rye bread, baked goods and smoked sausage. To place your orders please call (630) 893-2827. St. Andrew Kitchen is open from 8 a.m. to 2 p.m. every Saturday! Thank you for your continued business and patience. On June 4, 2011 St. Andrew Ukrainian Orthodox Cultural Center was blessed. Very Rev. Victor Poliarny, pastor of St. Andrew Cathedral officiated the blessing along with local clergy. We thank Very Rev. Archimandrite Ivan Krtoec from The UGCC of Sts. Volodymyr and Olha, Very Rev. Mykola Fediuk of St. George UOC-KP in Wheeling, IL and Rev. Michael Vasenda of St. Sophia UOC-KP for their attendance and participation.The expansion of our current facility will add to the complex ( Church, Auditorium, Retirement Center, Kitchen, Picnic Area, Ukrainian Cemetery) which is the Spiritual Center of The Kyiv Patriarchate in The USA and Canada. The building includes expanded banquet facilities, industrial kitchen, new restrooms, administrative space, classrooms for the Ukrainian school and the expansion of the Selfreliance Ukrainian Federal Credit Union branch office. Please support the growth and expansion of our Holy Ukrainian Orthodox Church Kyiv Patriarchate. We are pleased to welcome the following new families as members of St. Andrew Ukrainian Orthodox Church. We thank them for their generosity and participation as we serve The Holy Ukrainian Orthodox Church - Kyivan Patriarchate. If you are interested in joining our parish please pick up an application in the church office and see our pastor Very rev.Victor Poliarny to discuss your responsibilities as parishioners. The parish board of directors meets on the second wednesday of each month. All applications are reviewed and voted on at these monthly meetings. 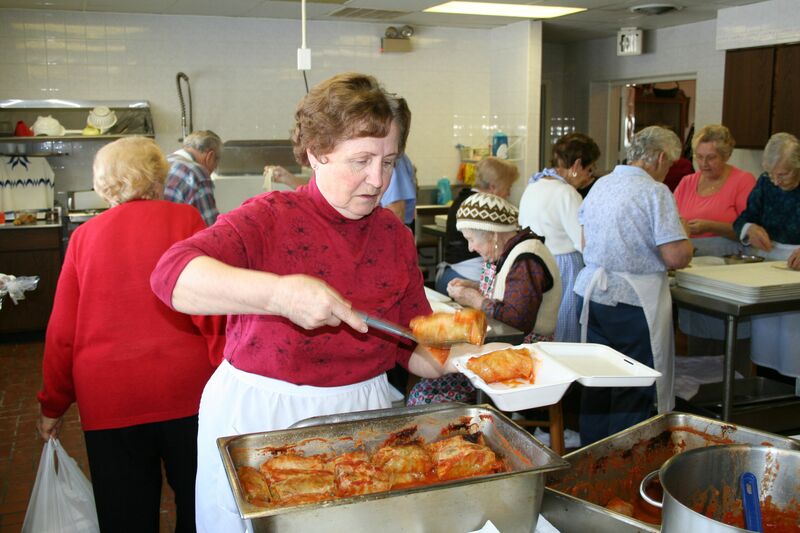 St. Andrew Kitchen has become famous throughout the Chicagoland area for its homemade Varenyky (pierogis), Holubtsi (Cabbage Rolls), Kolachky- Pastries and other Ukrainian specialties. 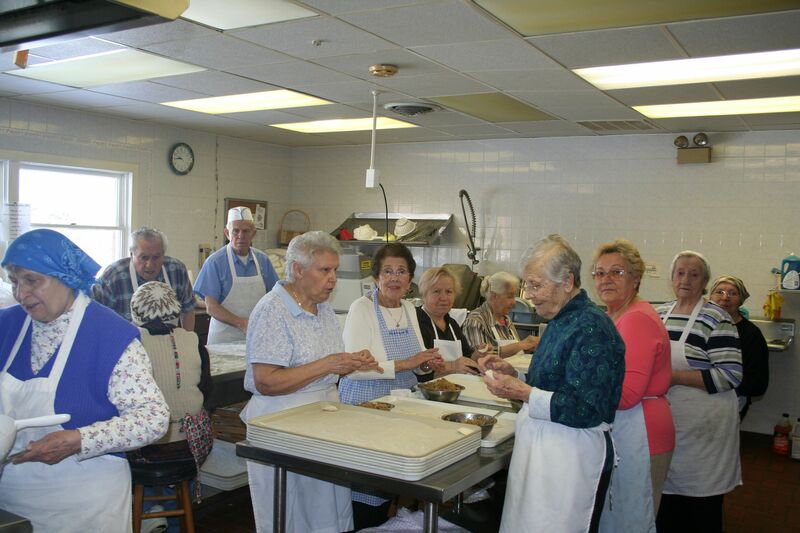 On any given Saturday a line of customers forms to purchase these delicious foods made by the devoted members of the St. Sophia Sisterhood and St. Andrew Brotherhood. Sometimes the food never makes it to the car as our customers can't wait to begin eating! The St. Andrew Kitchen is open on Saturdays from 9:00 am to 1:00 pm. If you would like to pre-order please call the kitchen at 630-893-2827.